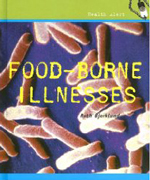 The number of books Ruth Bjorklund has written are too numerous to list individually. As non-fiction writer for children, Bjorklund tries to make a complicated world intelligible to young people. 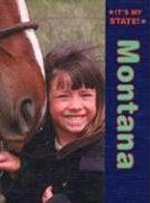 She has written on a wide variety of topics and all of her books are filled with detailed information on the subject at hand, including helpful illustrations and well-chosen photographs. 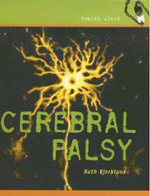 One of Bjorklund's specialities is health and in that category she has authored books on arthritis, cystic fybrosis, epilepsy, eating disorders, cerebral palsy, asthma, tourette syndrome, the senses, and the body's circulatory system. 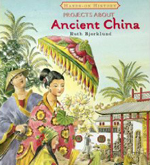 Another one of Bjorklund's specialties is geography and history - she has published books on Louisiana, Alaska, Montana, South Dakota, New Mexico, Nebraska, Puerto Rico, Ancient China, the Hopi, and the Cree. Bjorklund's third area of expertise is animals and she has written books on endangered wolves, lizards, and rabbits. 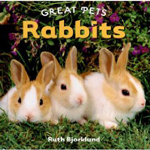 Bjorklund says that she had a lot of help writing about rabbits from her daughter who helps care for pet rabbits at a farm close to their home on Bainbridge Island.